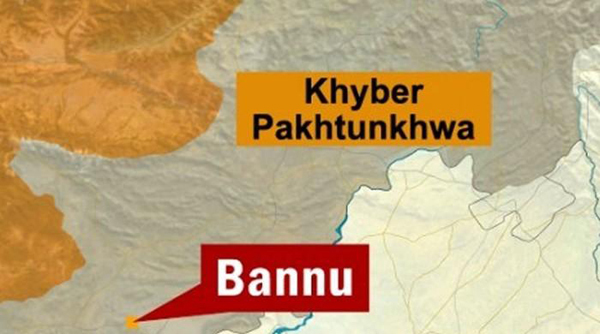 PESHAWAR, Feb 7 (APP): At least two policemen were injured when a suicide attacker rammed his explosive laden vehicle into to the main gate of a police station in Bannu, bordering North Waziristan Agency on Tuesday morning, District Police Officer said. The DPO said a militant rammed his explosive laden car at the gate of Mudan police station, badly damaging a portion of the police station. He said two cops came under the building’s rubble and were pulled out in injured state and later shifted to DHQ Hospital Bannu. Police claimed the lone attacker was shot many times but he somehow managed to hit the gate with his vehicle. The reports stated the suspect appeared to look around 20-year-old and was carrying 20kgs explosive. A portion of police station was badly damaged as result of the attack while windowpanes of nearby buildings were smashed due to intensity of the explosion. Electricity supply was also suspended in the area after the blast. A case has been registered by the local authorities and investigation was under way. Police said a search operation was under way near the site to nab involved persons.